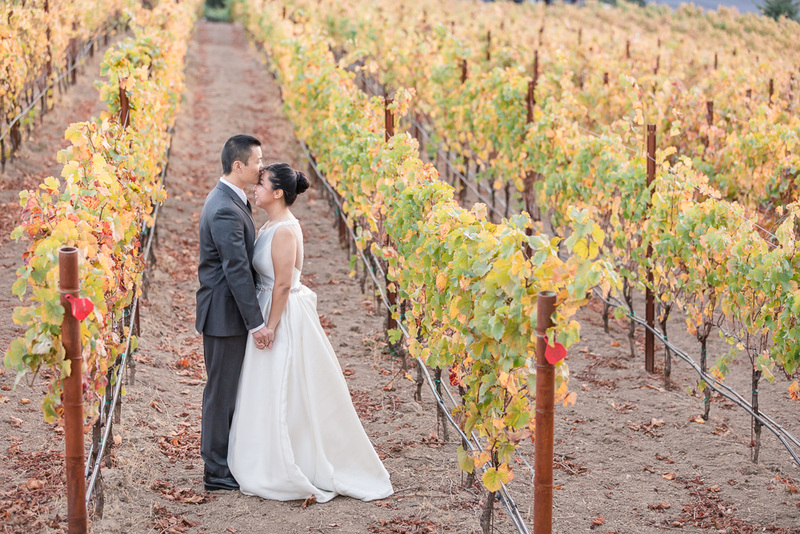 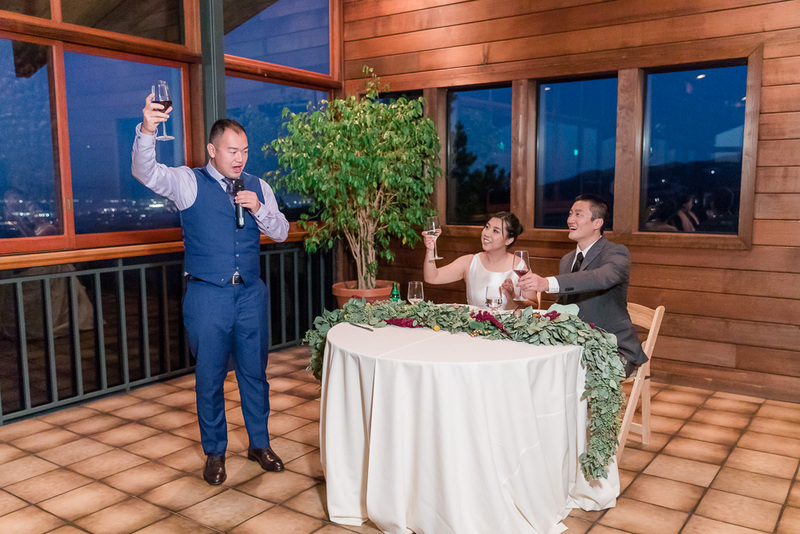 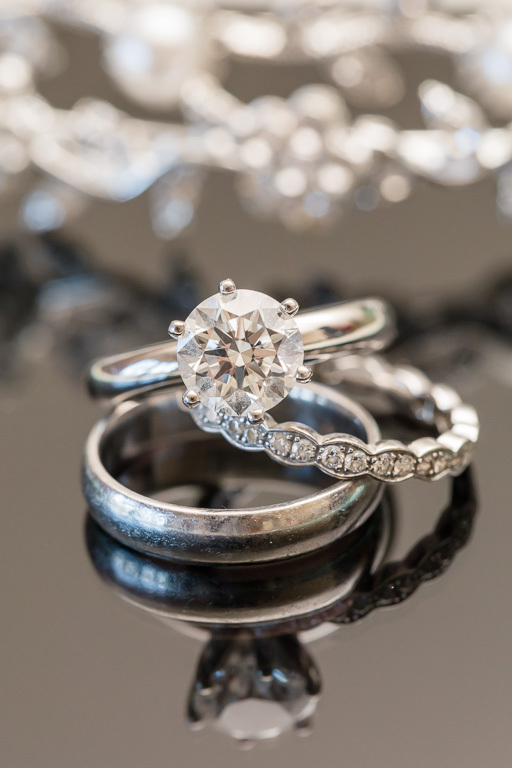 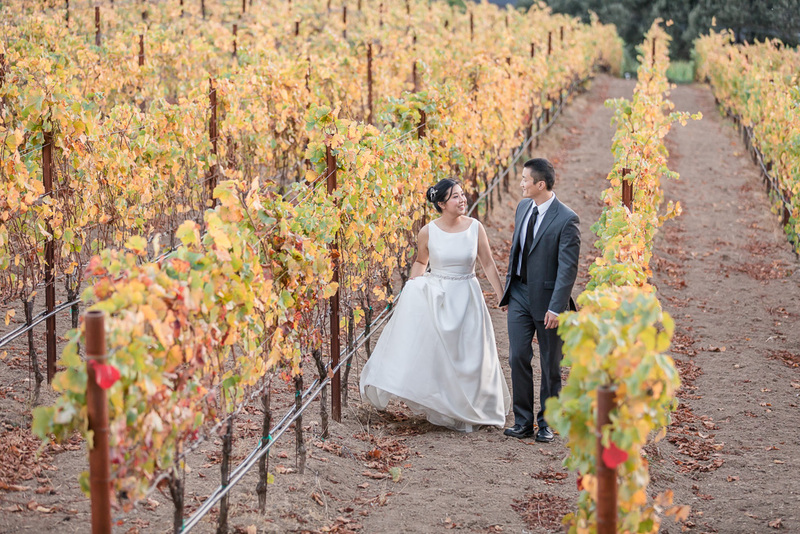 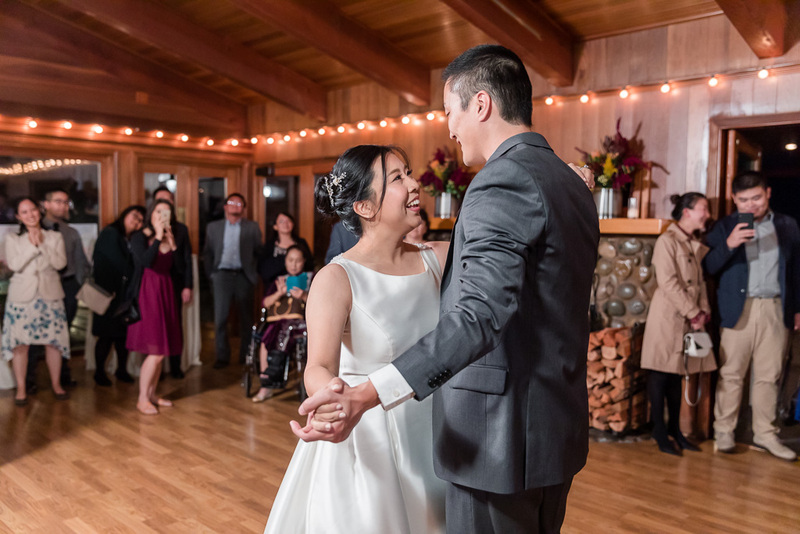 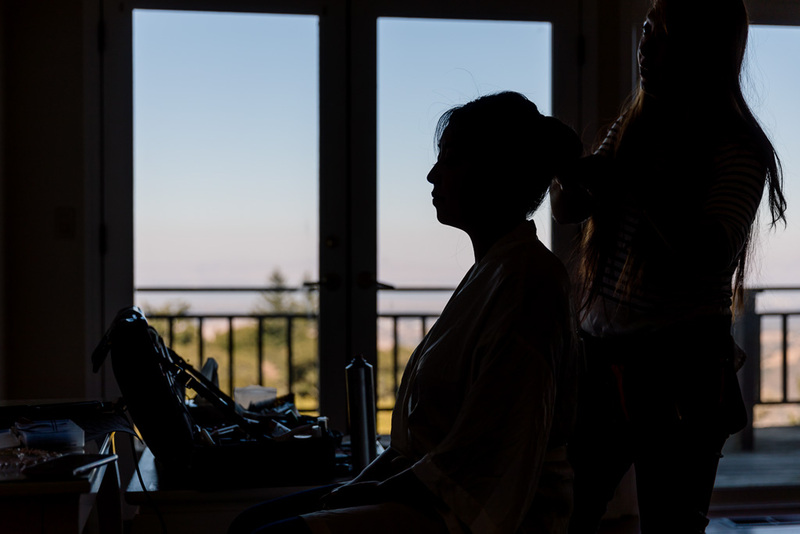 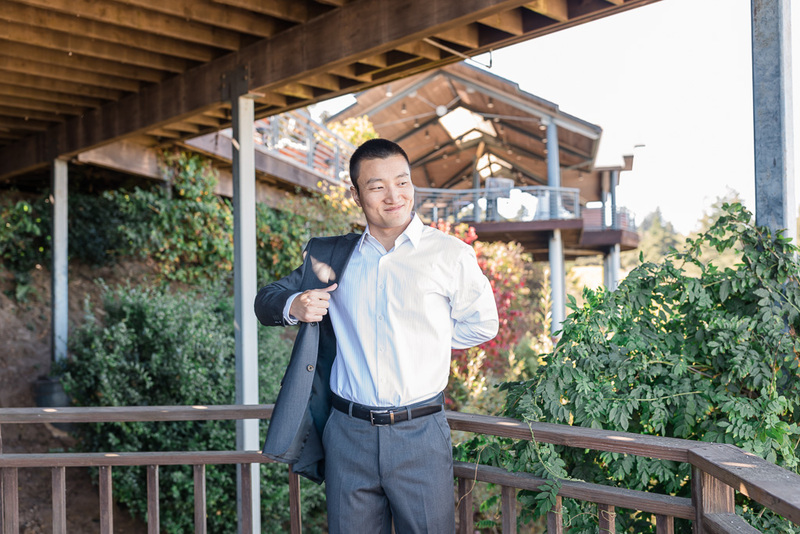 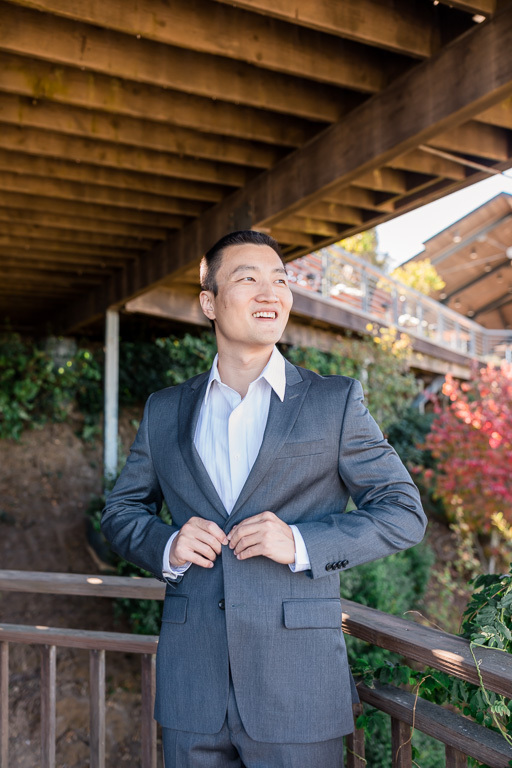 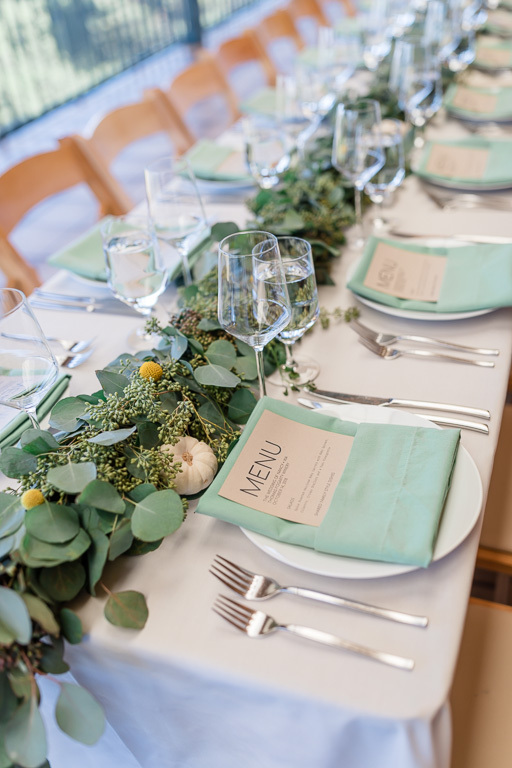 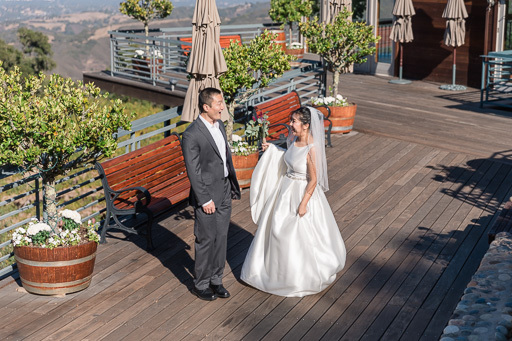 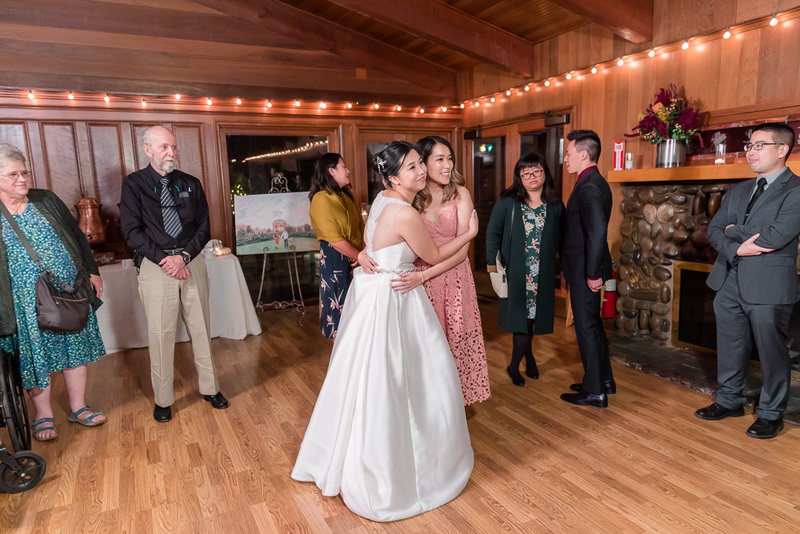 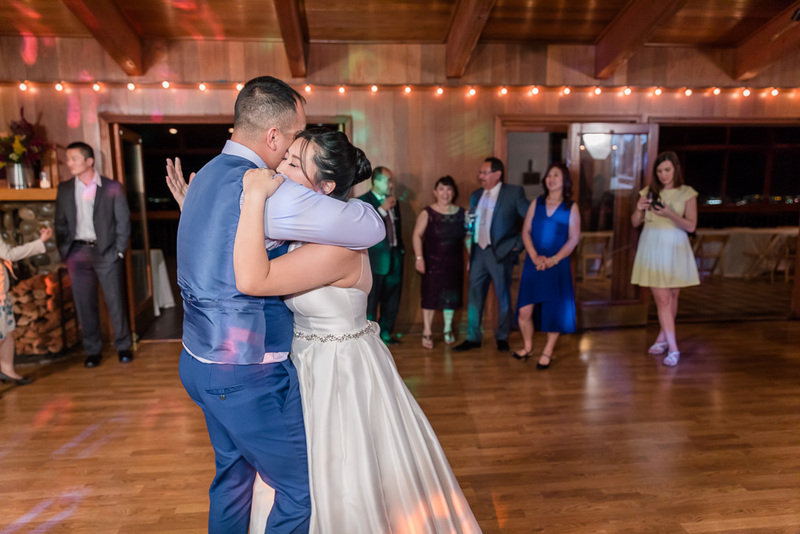 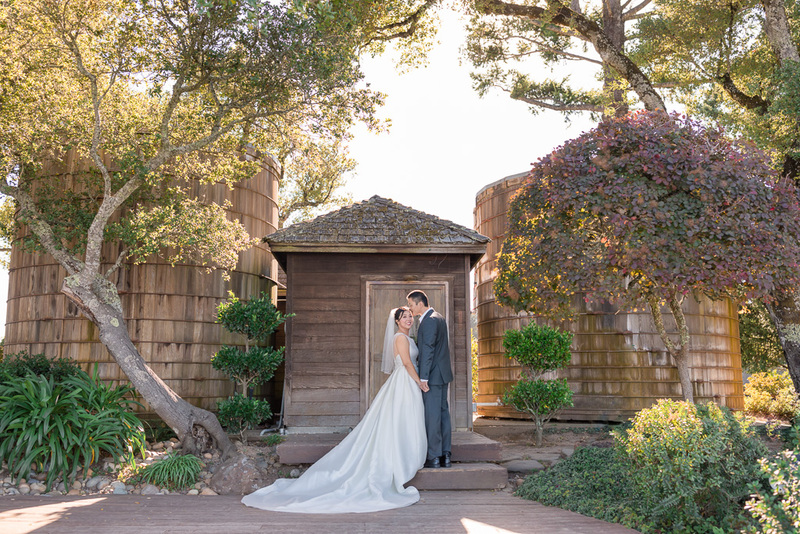 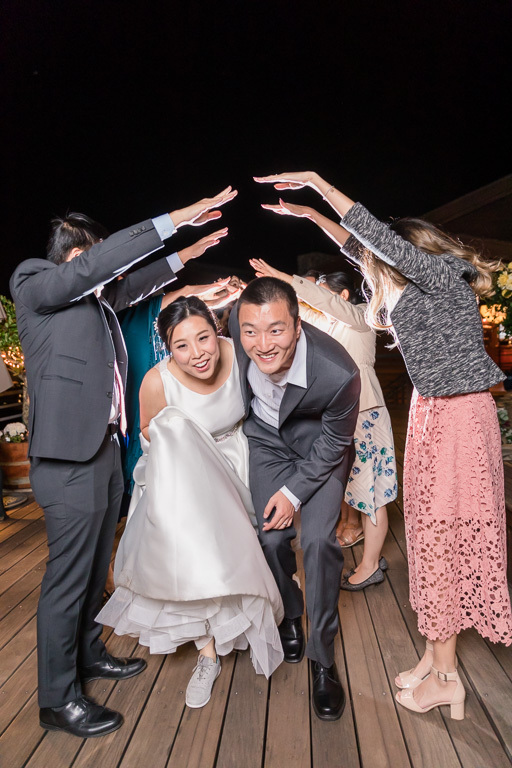 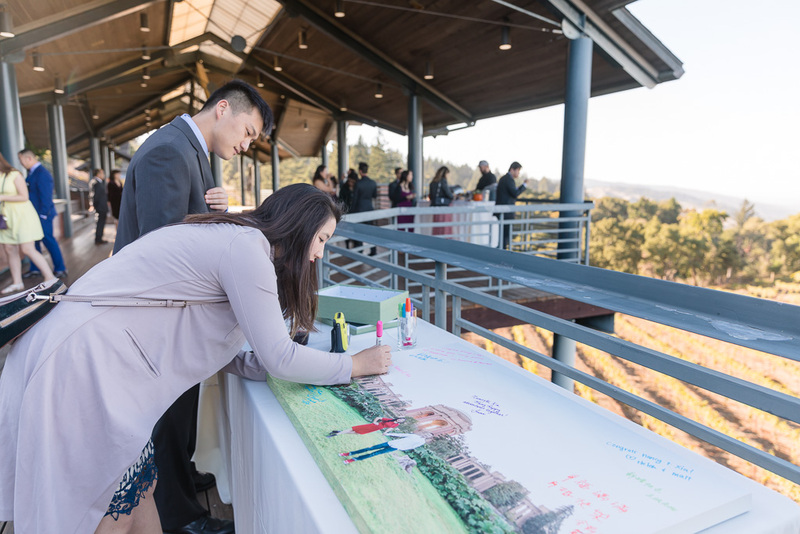 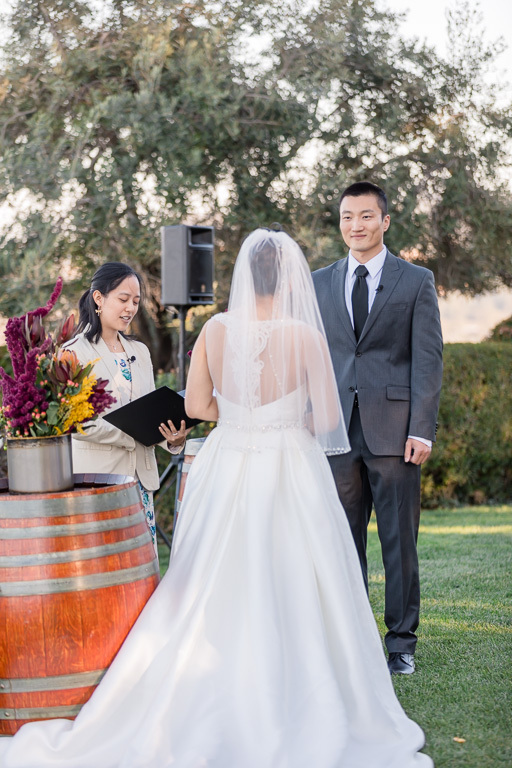 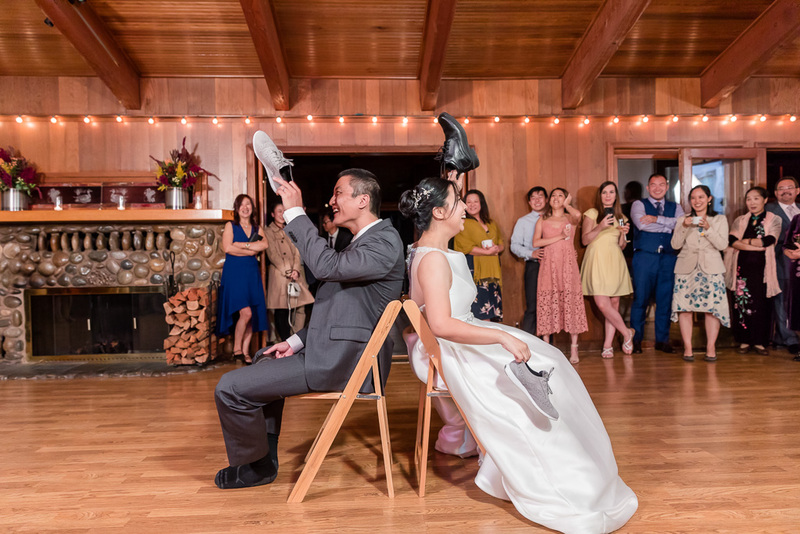 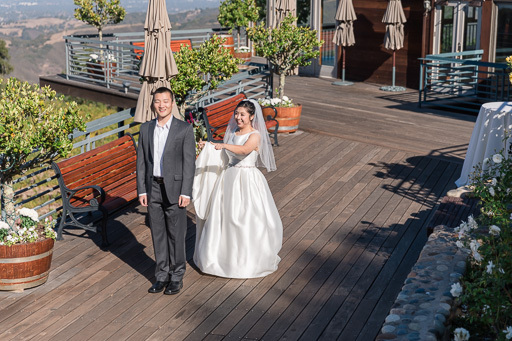 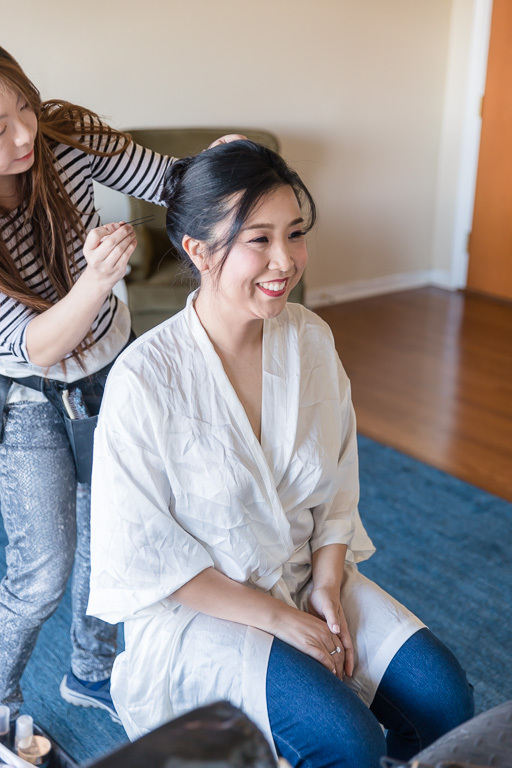 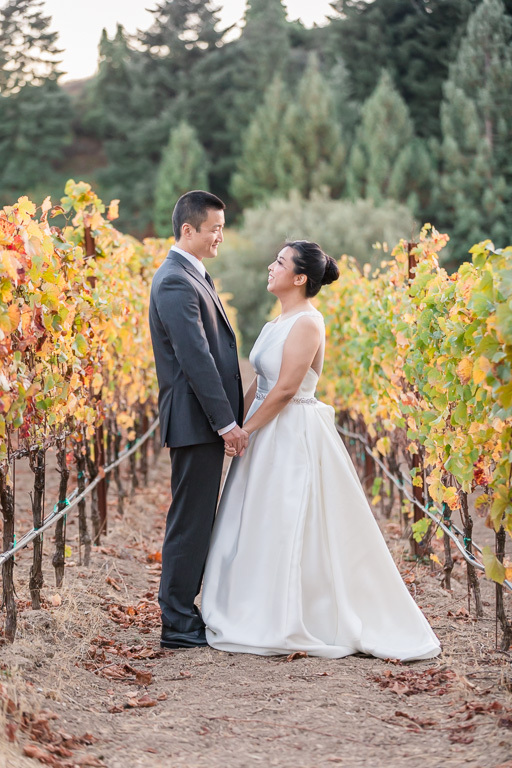 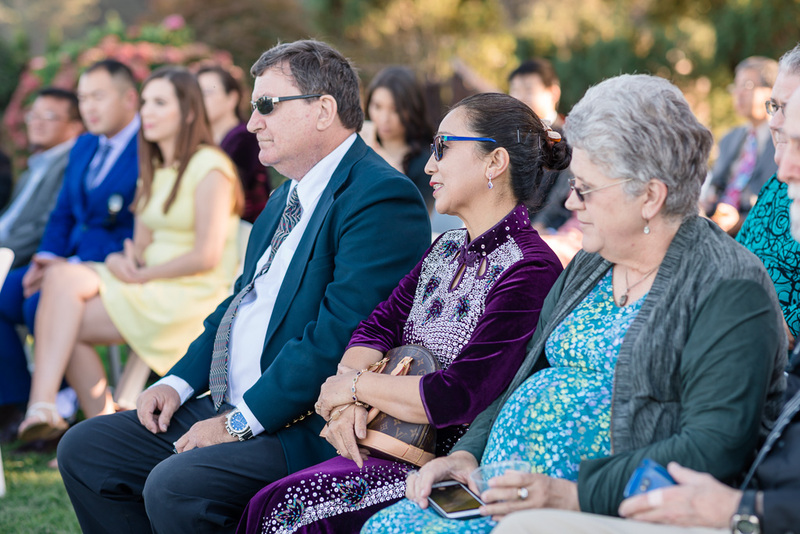 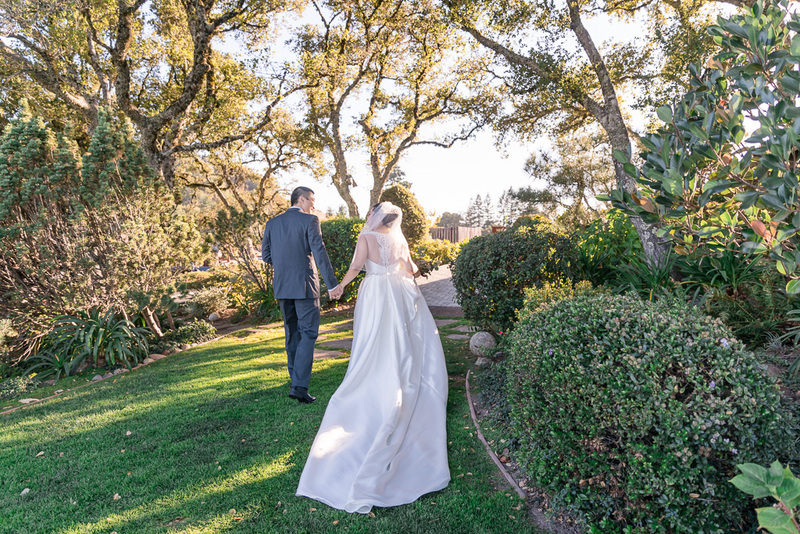 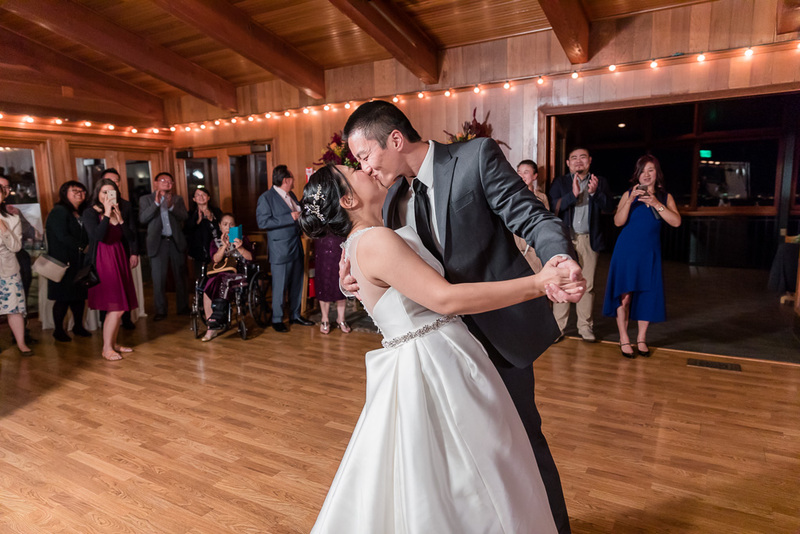 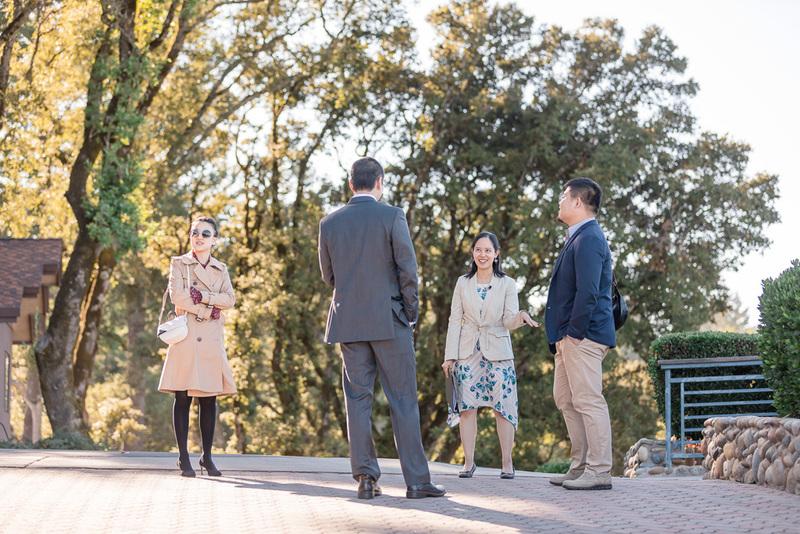 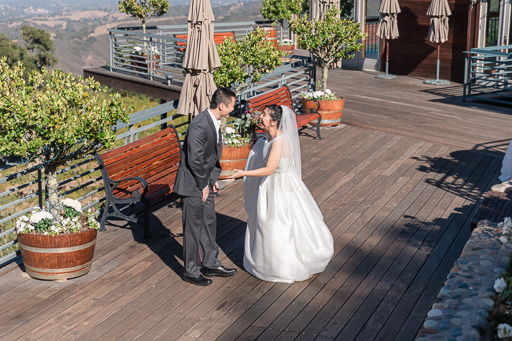 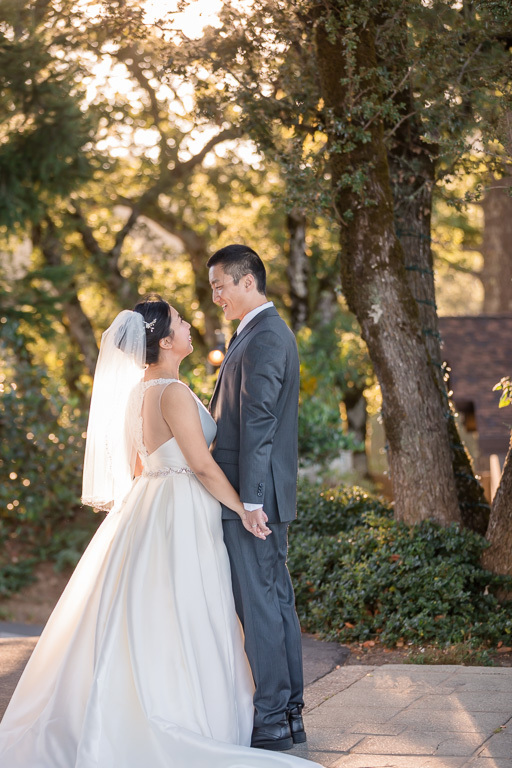 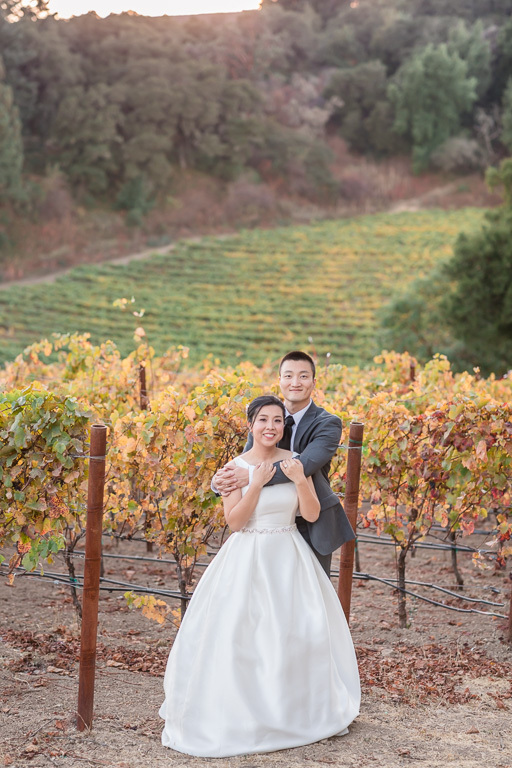 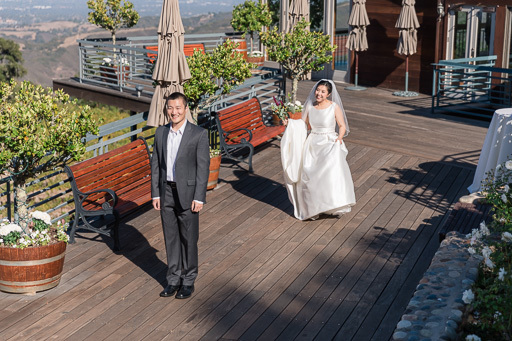 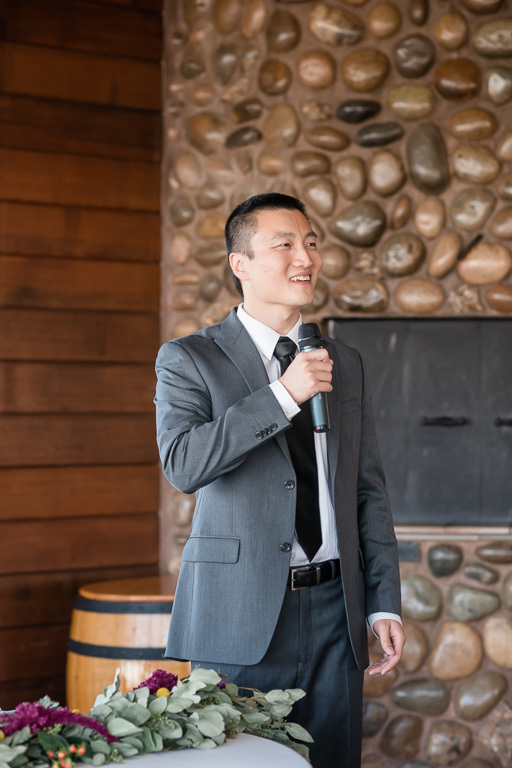 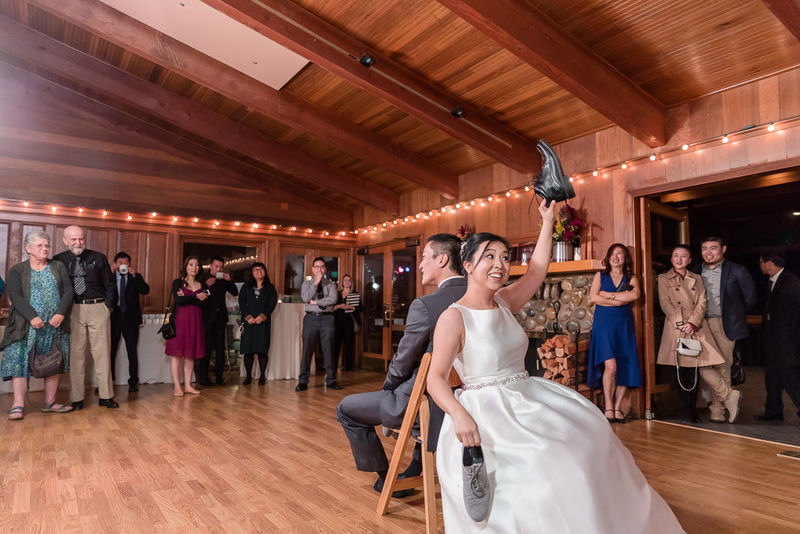 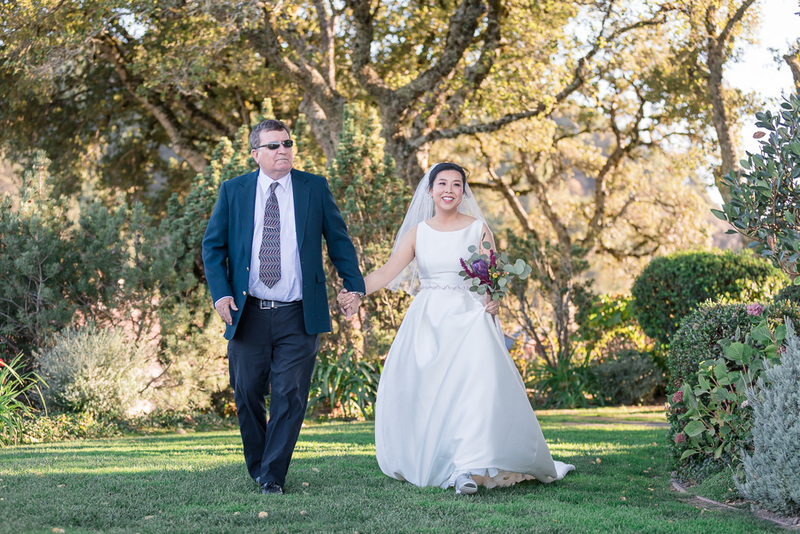 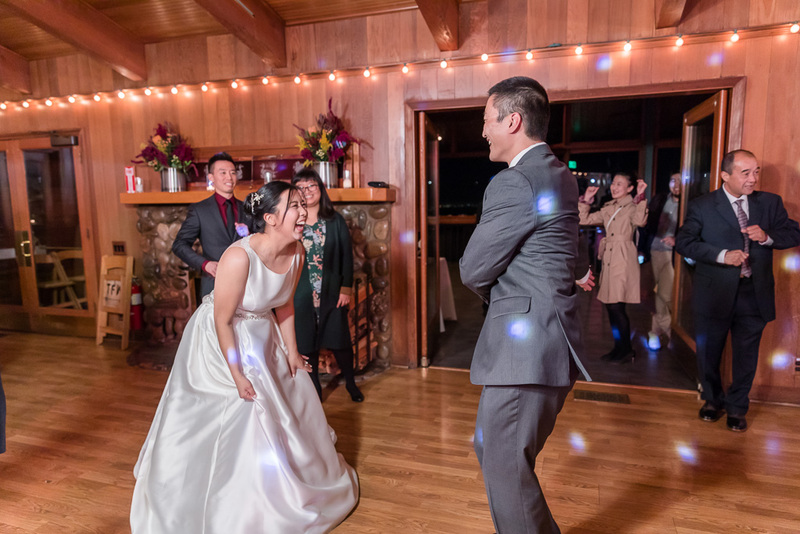 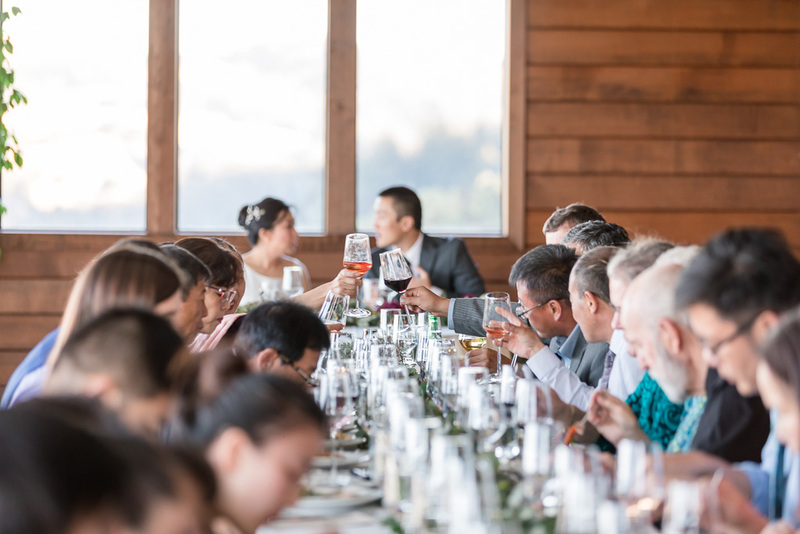 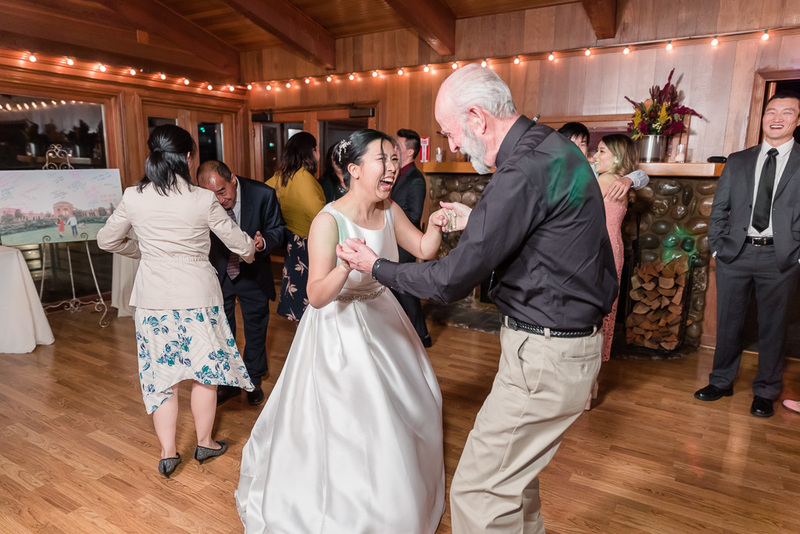 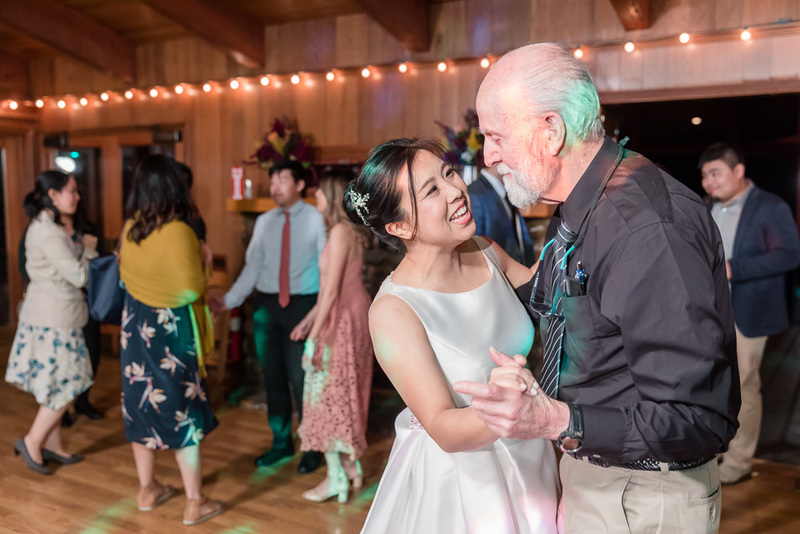 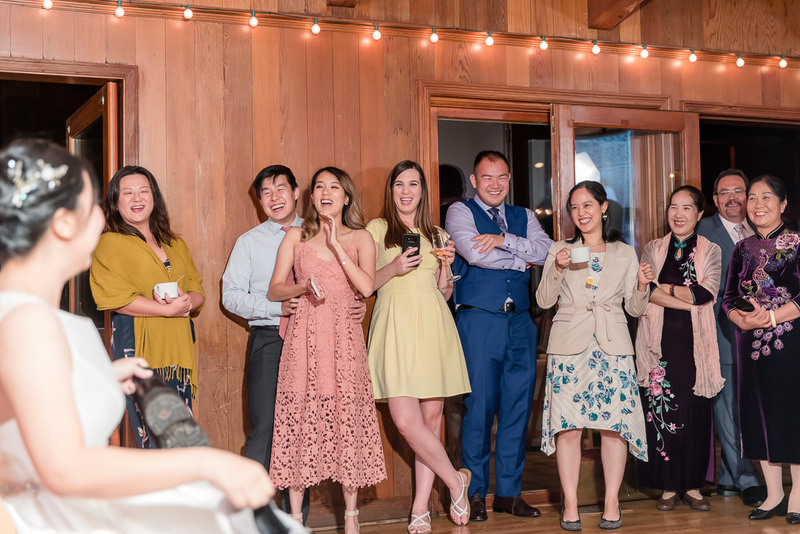 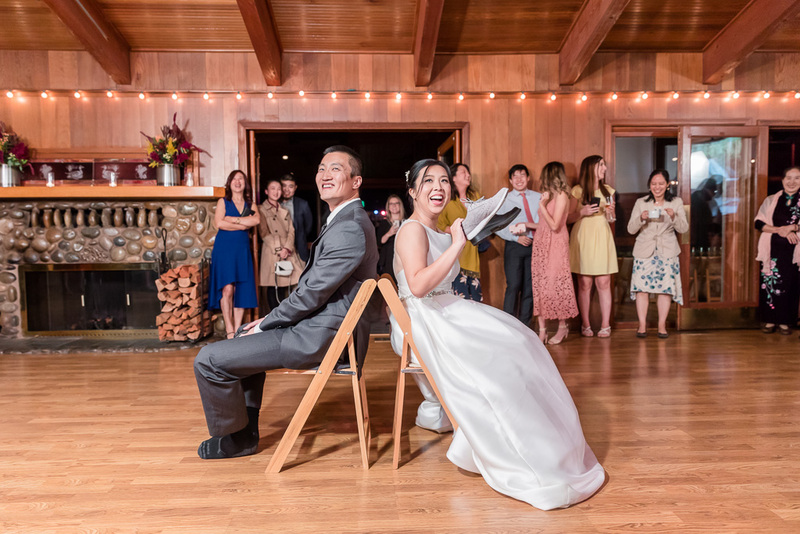 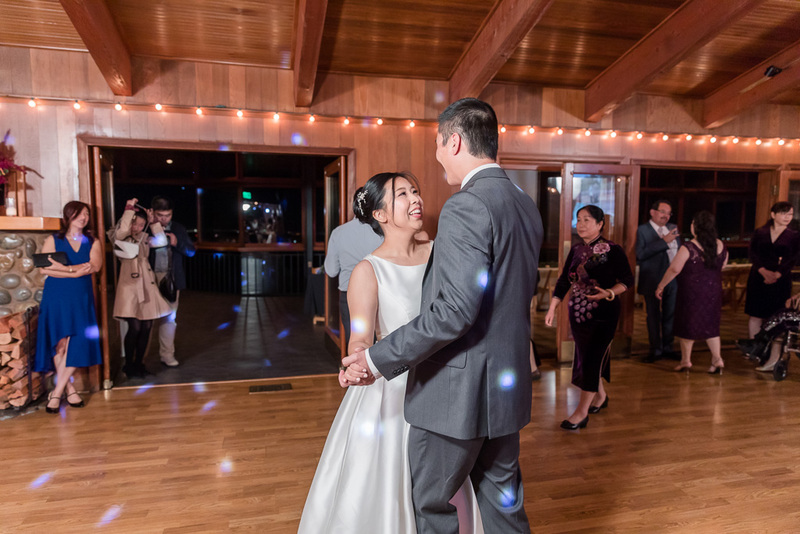 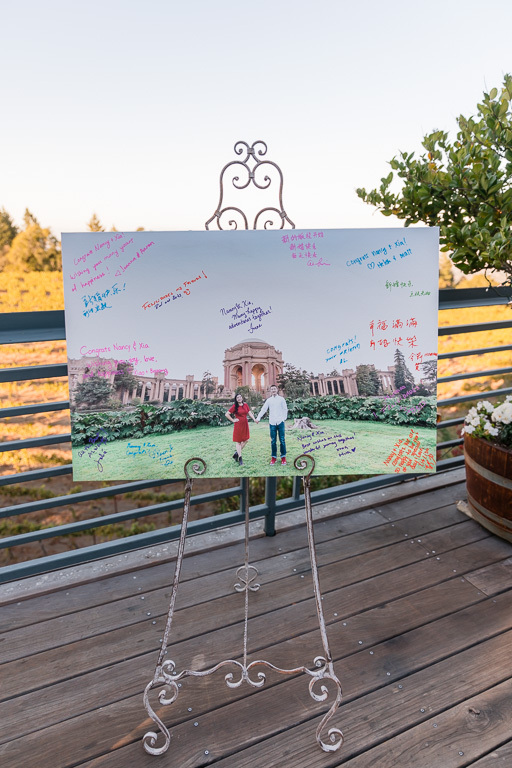 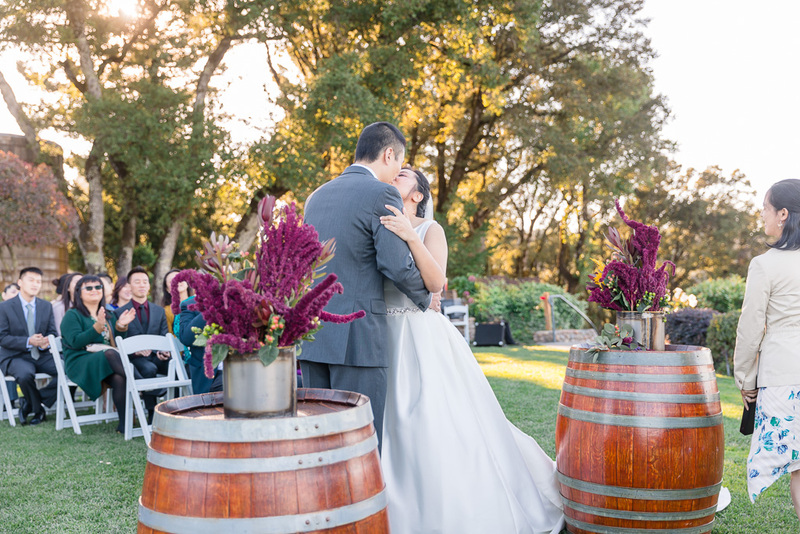 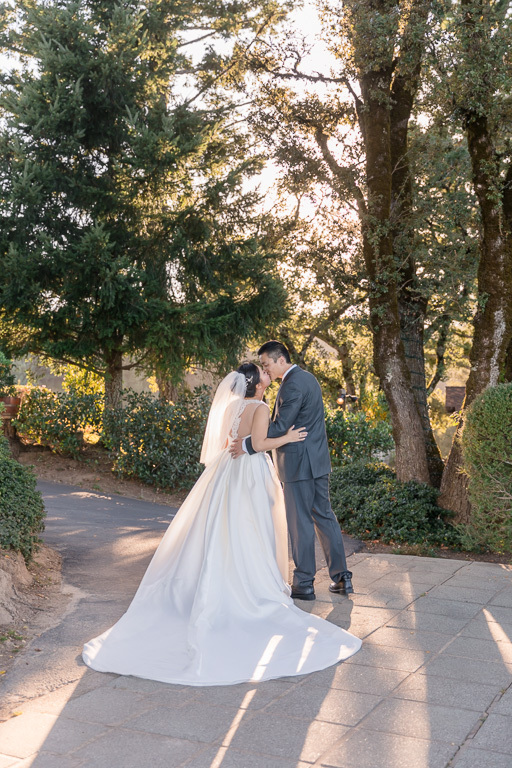 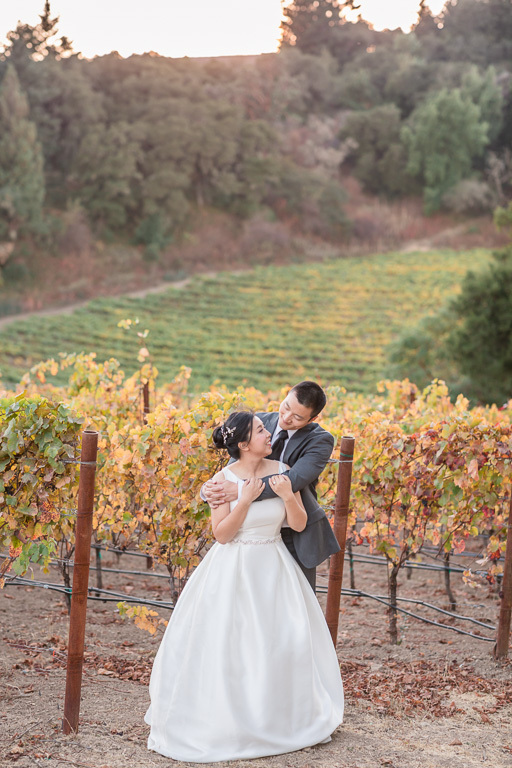 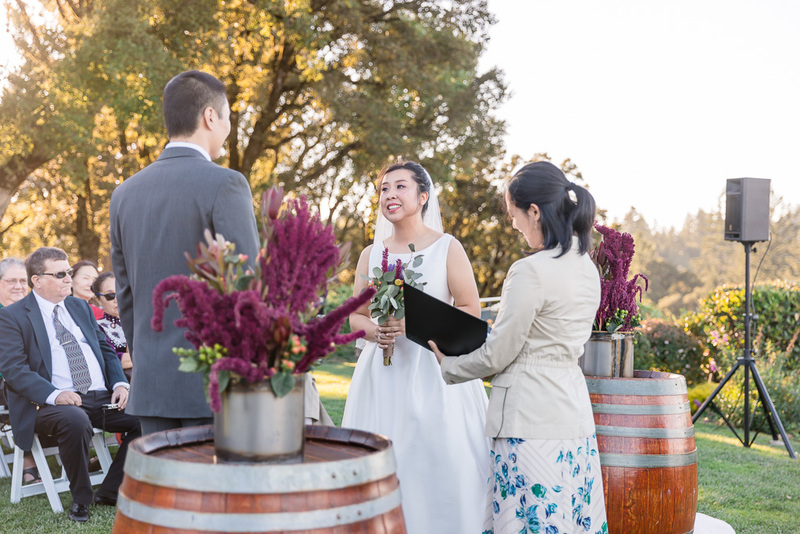 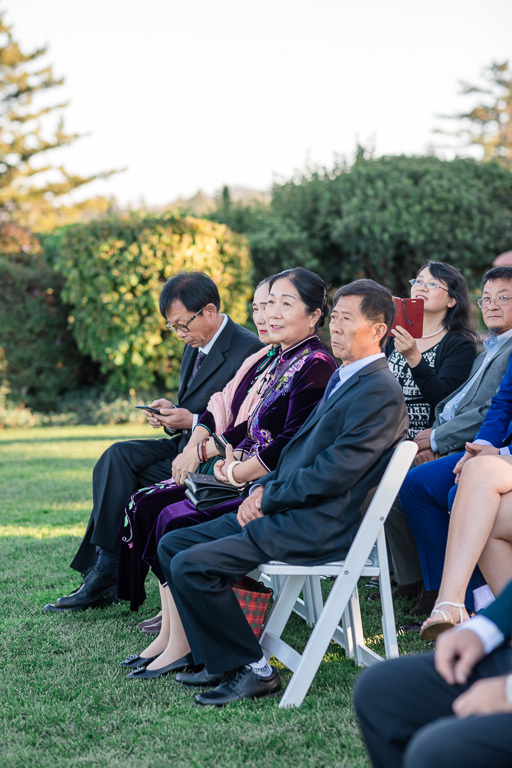 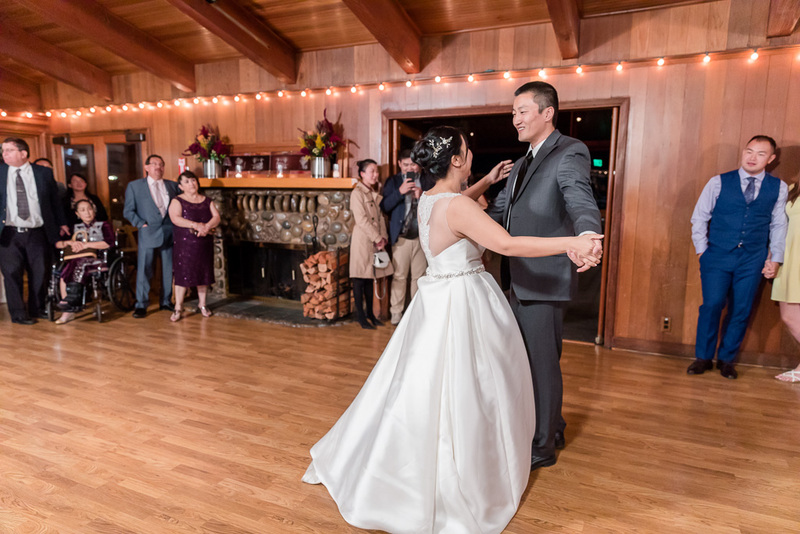 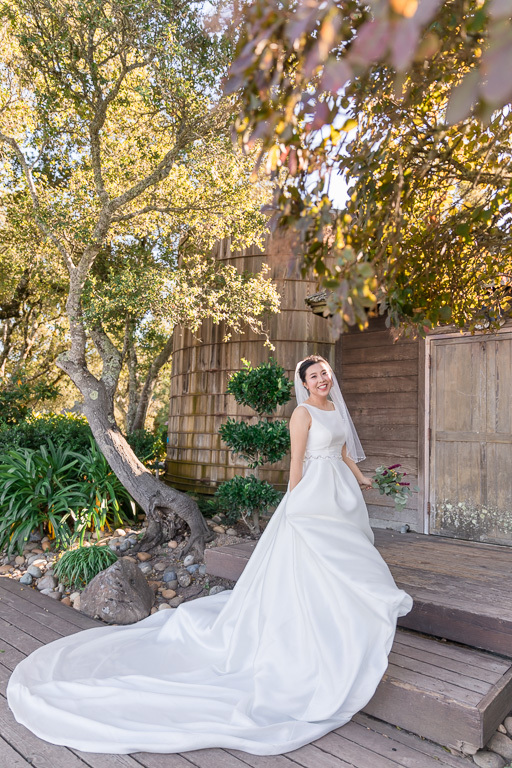 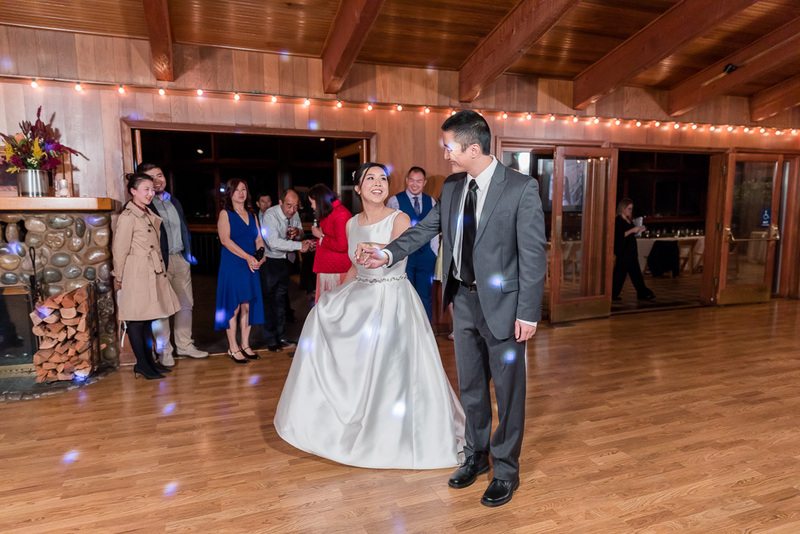 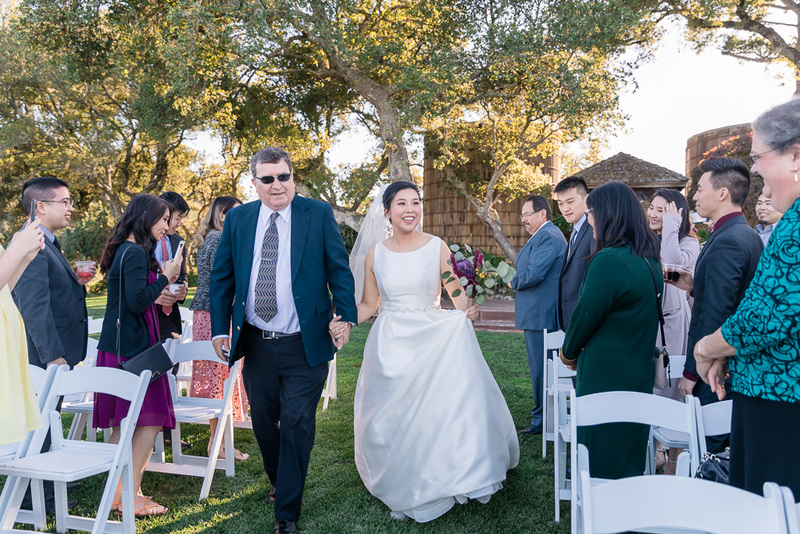 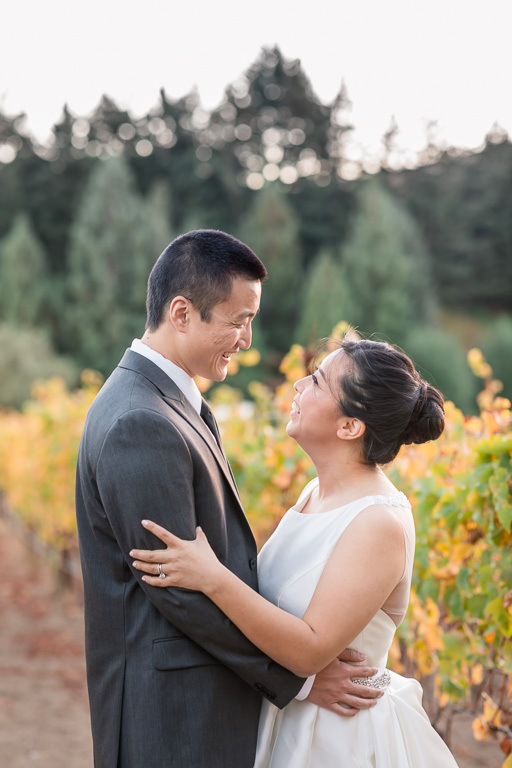 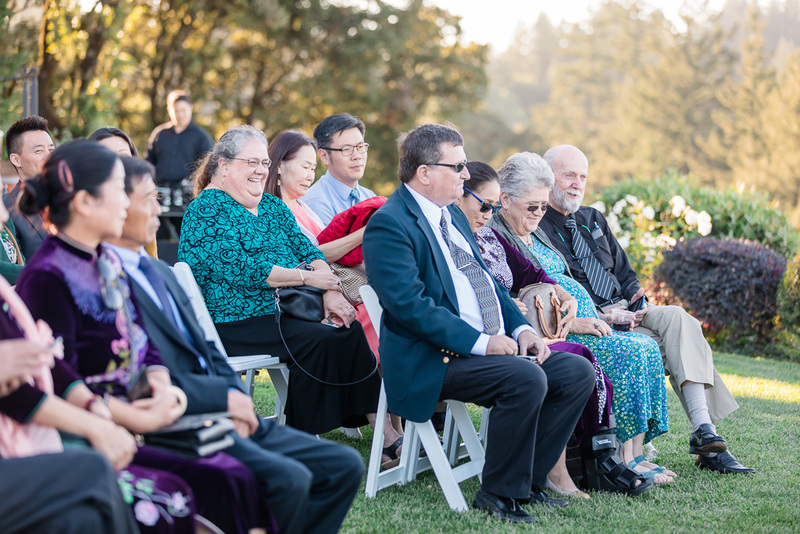 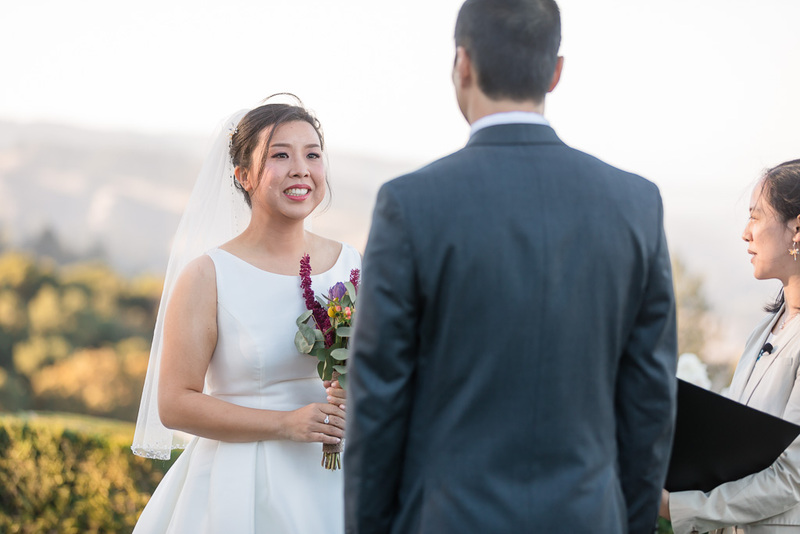 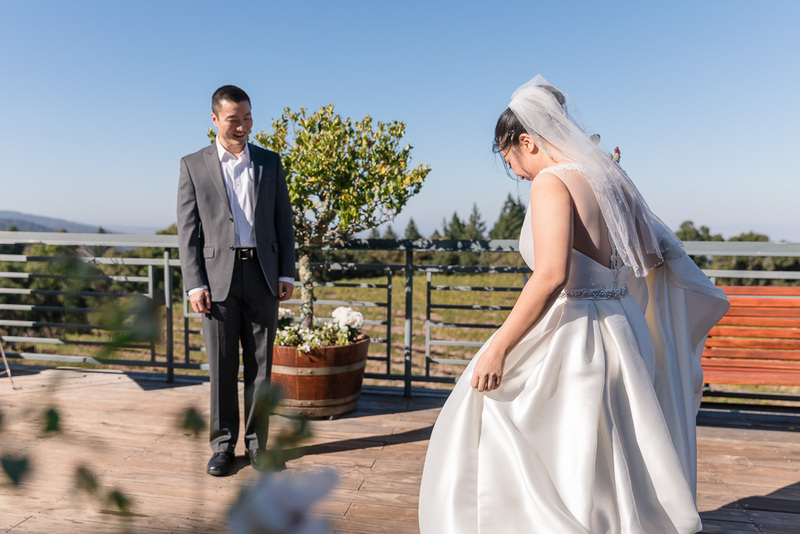 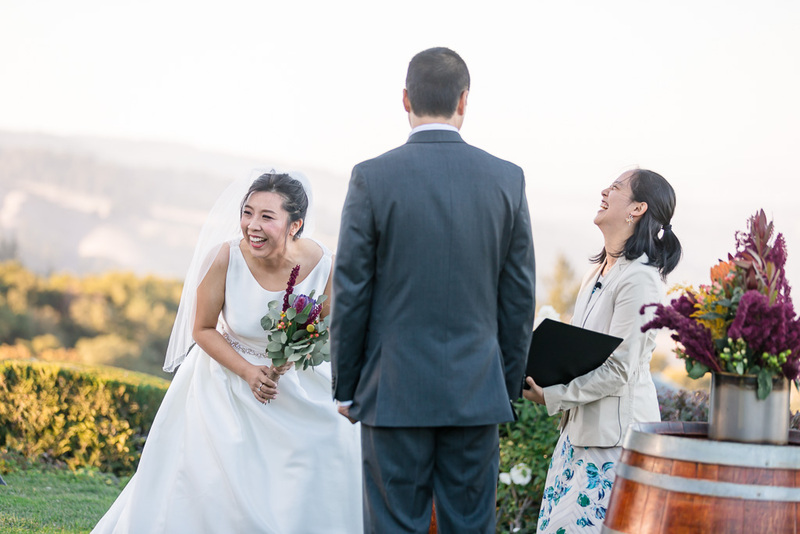 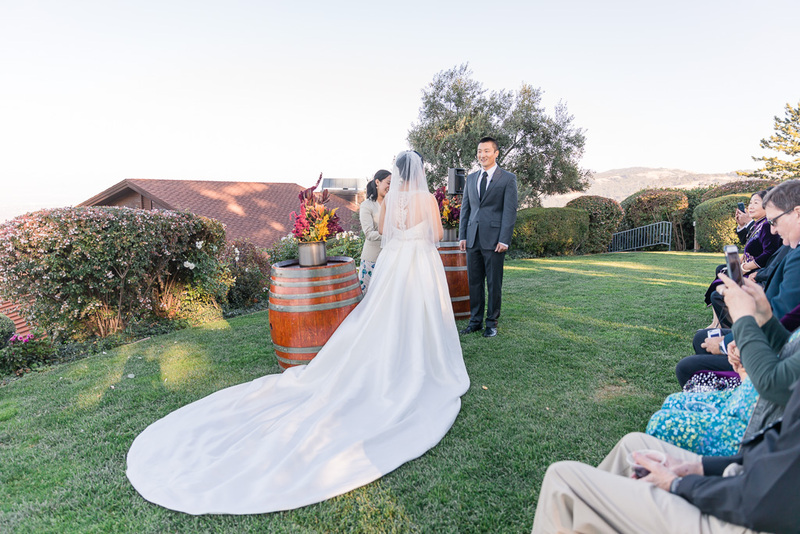 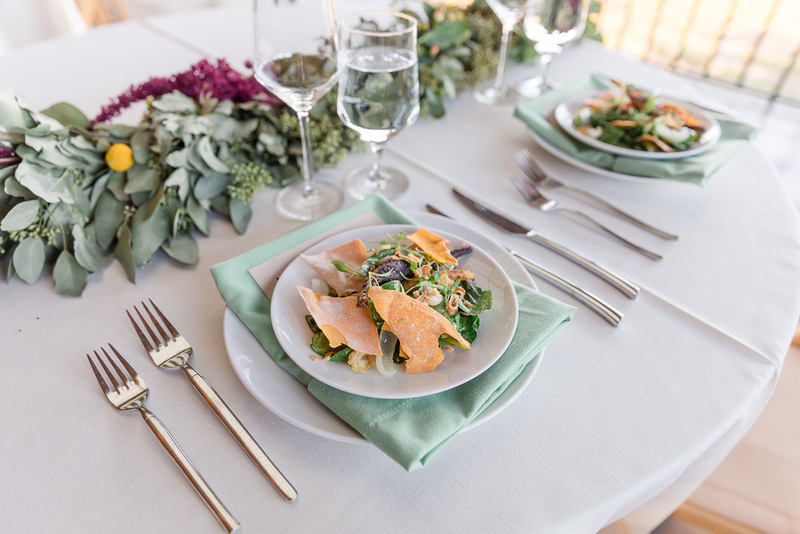 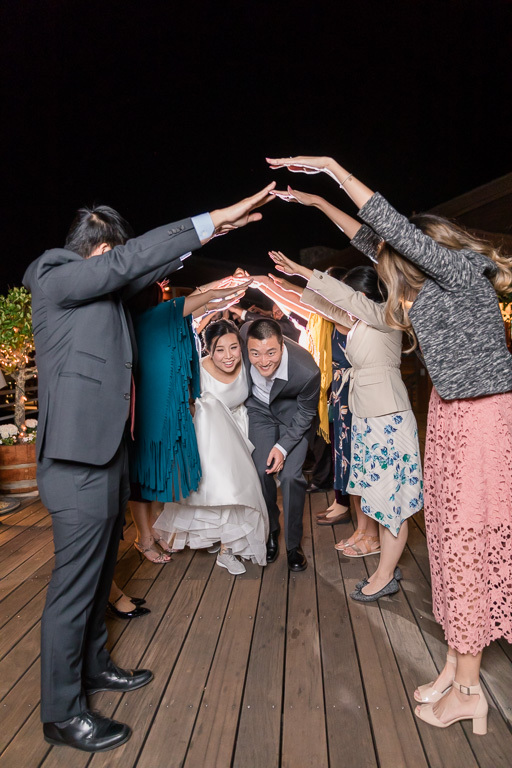 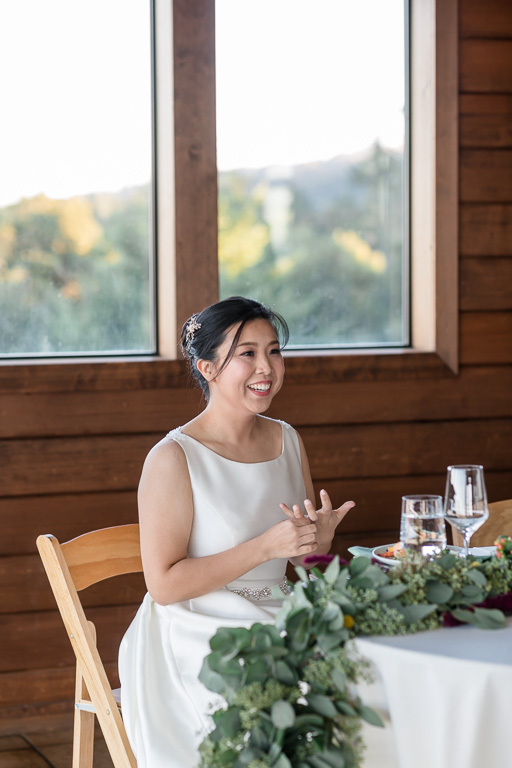 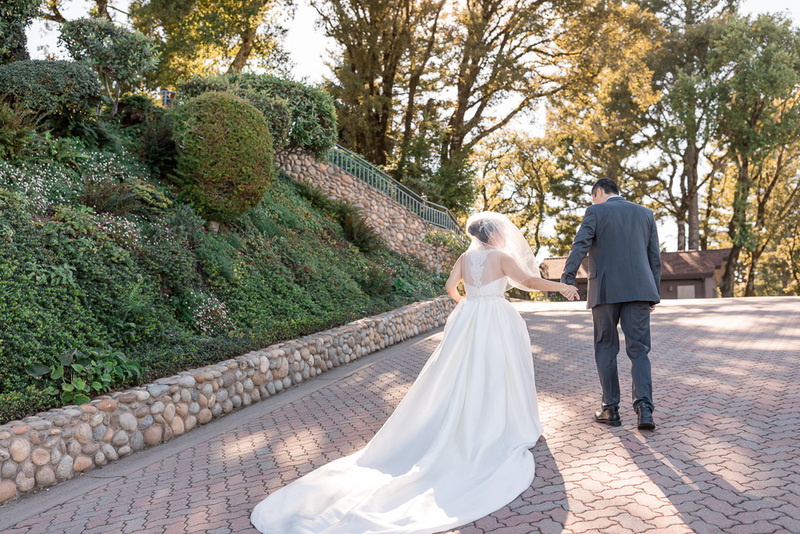 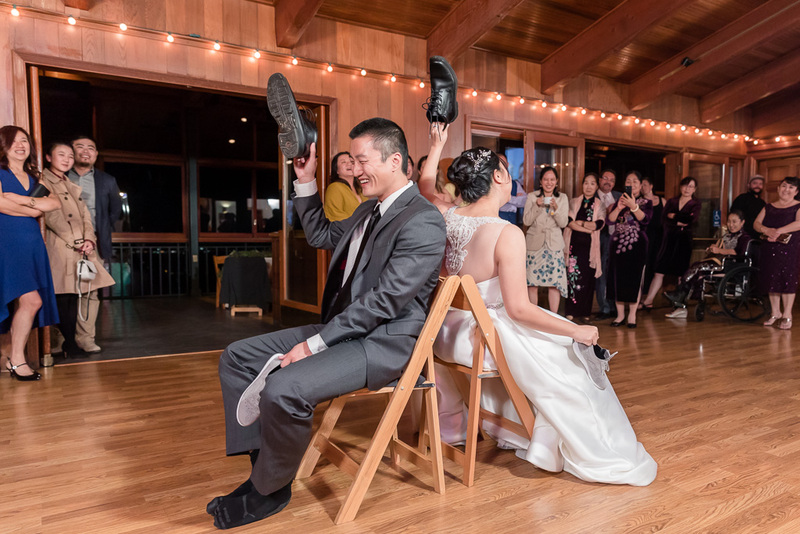 Nancy & Xia have been together for many years and have known each other even longer, and they decided to make it official in front of their family & friends at their beautiful Thomas Fogarty Winery wedding last month. 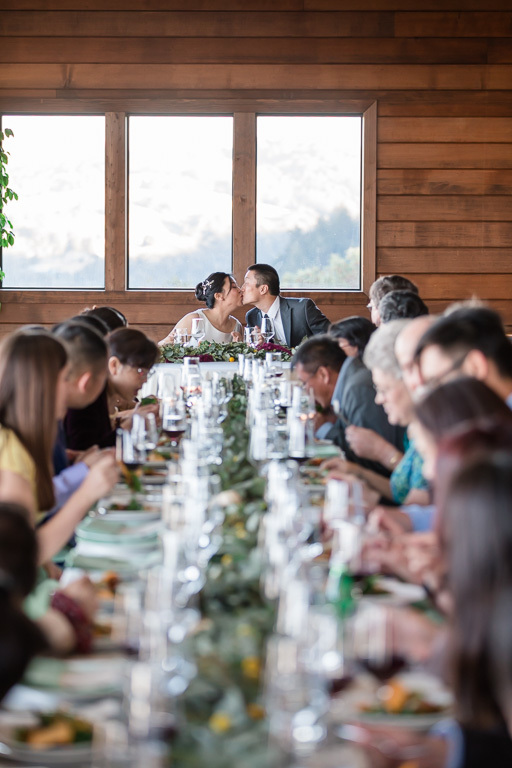 It was a super intimate event, officiated by their friend Irene and with just a few dozen guests in attendance. 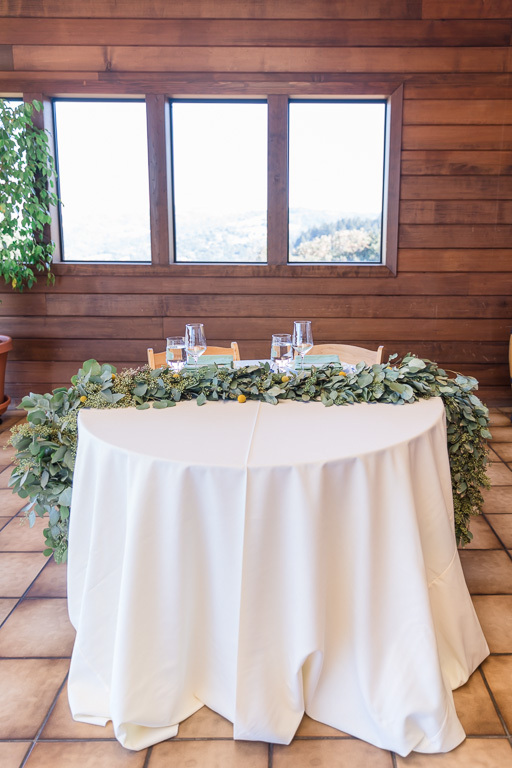 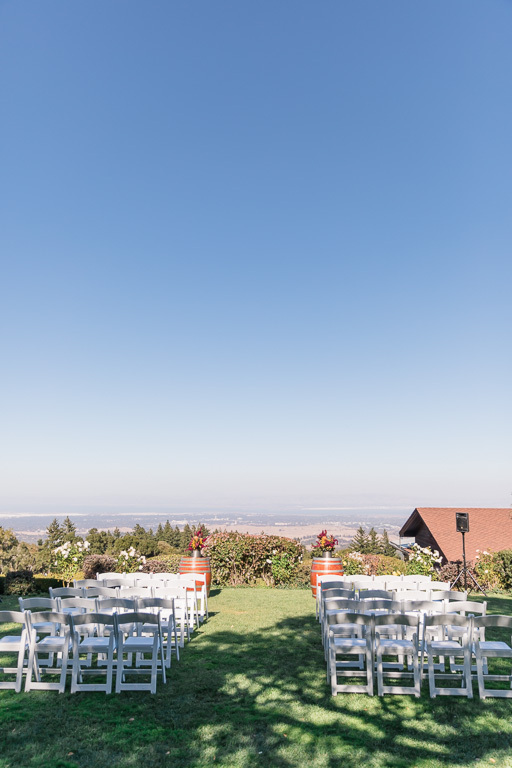 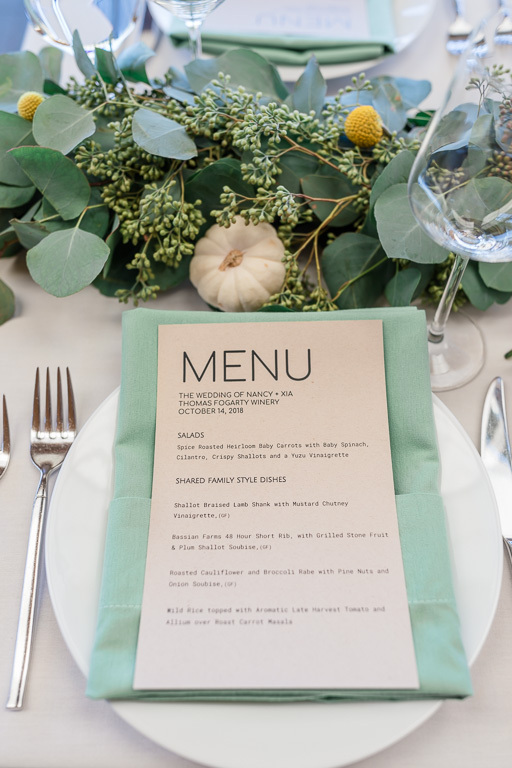 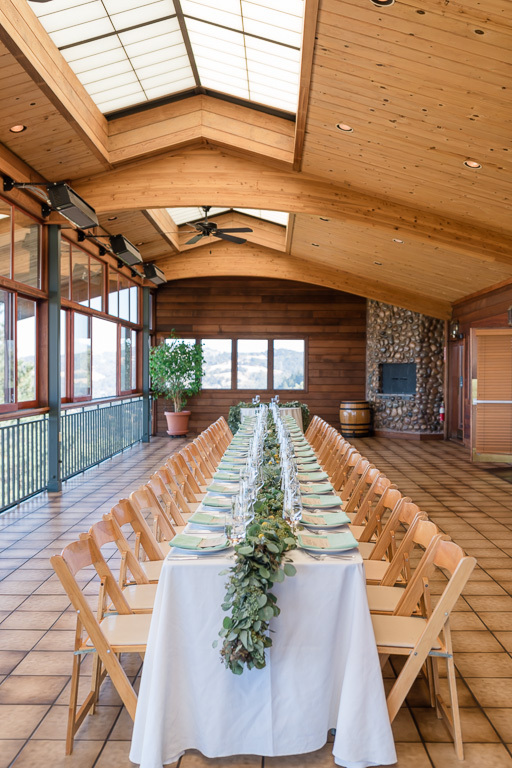 Their garden ceremony had an amazing view of Palo Alto and the Bay, which the guests definitely loved. 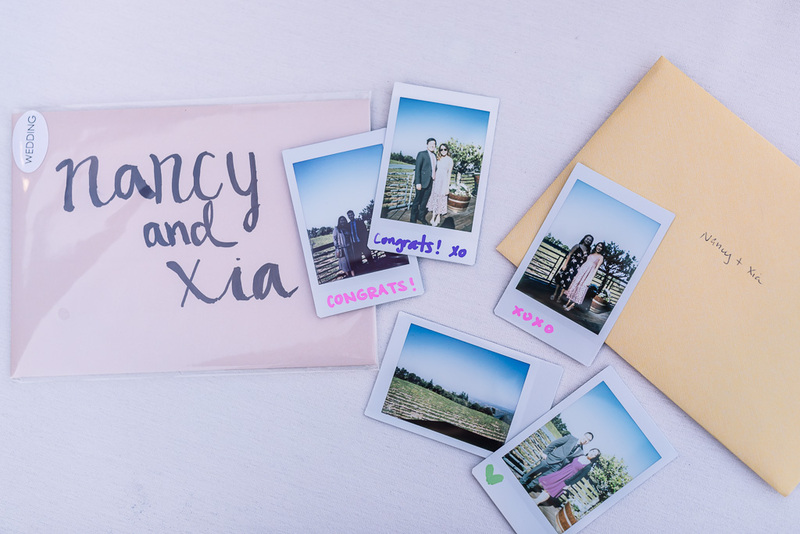 Nancy & Xia are both very easygoing people, don’t take themselves too seriously, and are a little goofy at times — a perfect match! 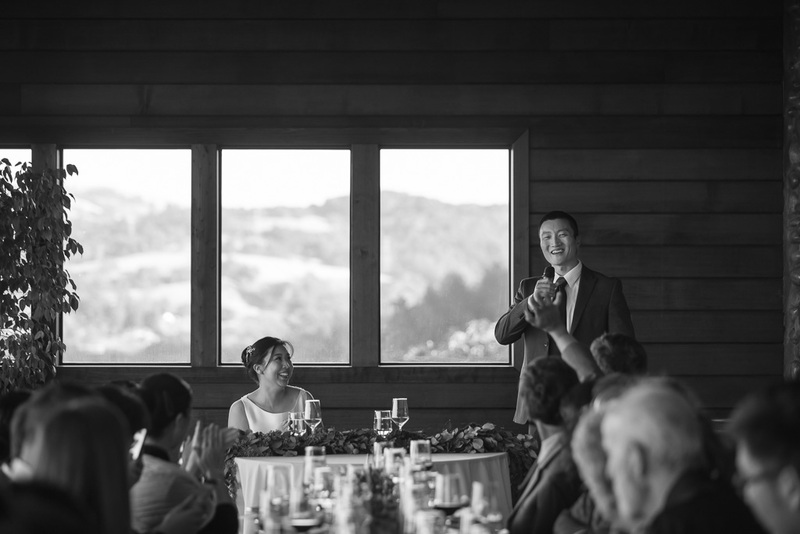 — so it was very touching for us to see that their ceremony was joyous yet deeply meaningful and emotional for them. 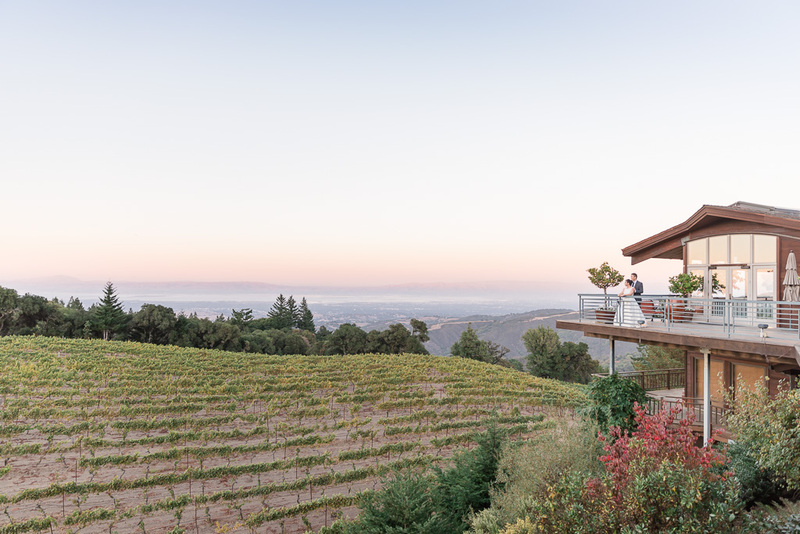 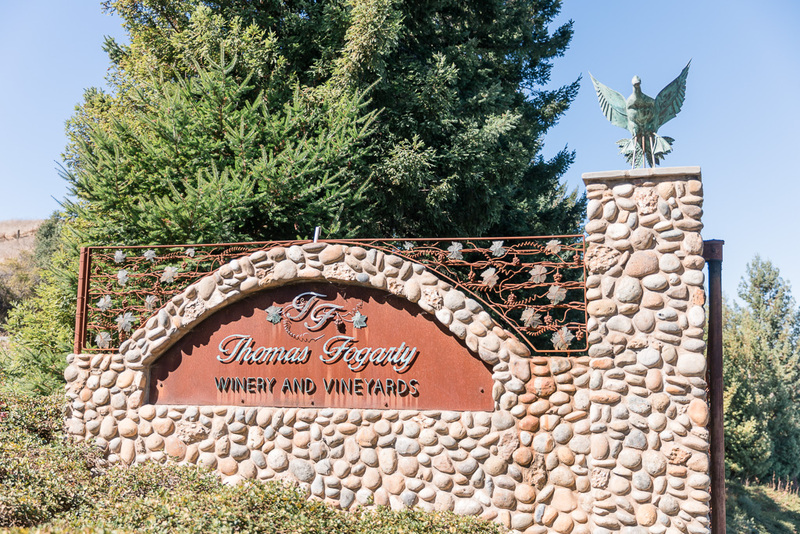 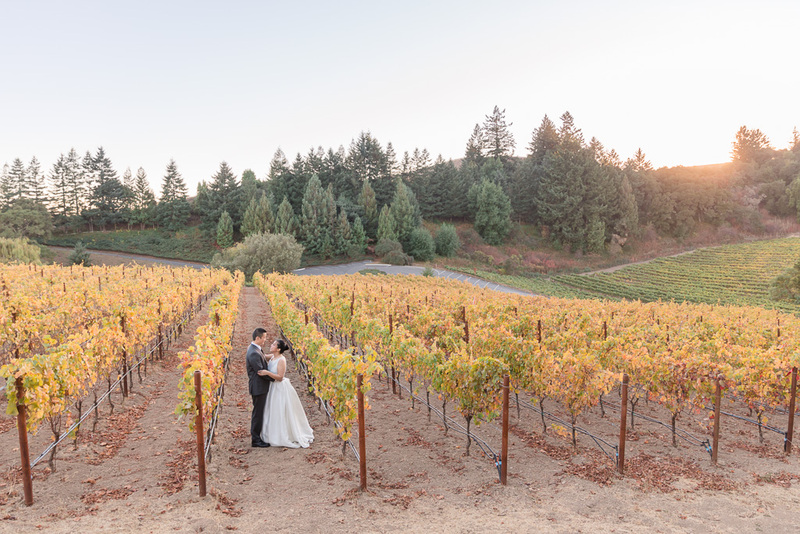 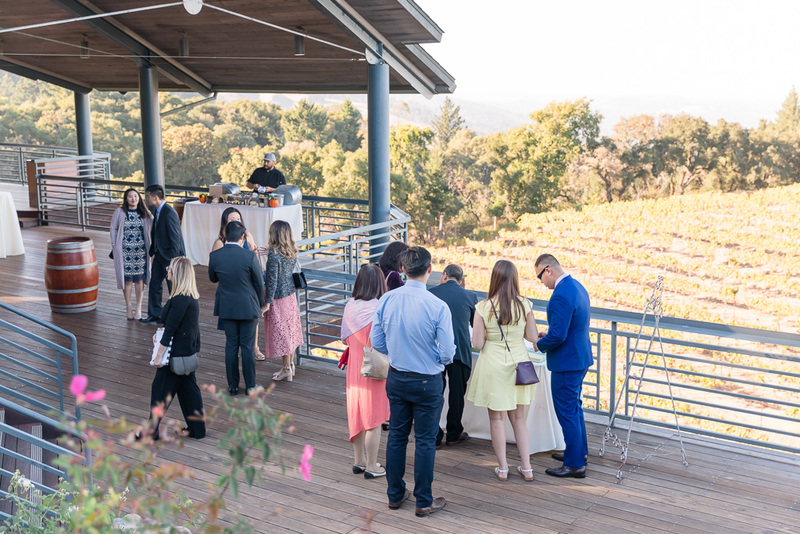 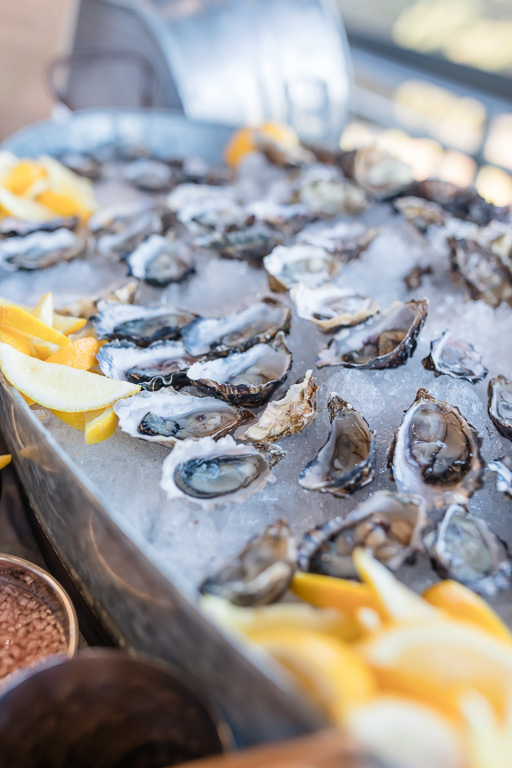 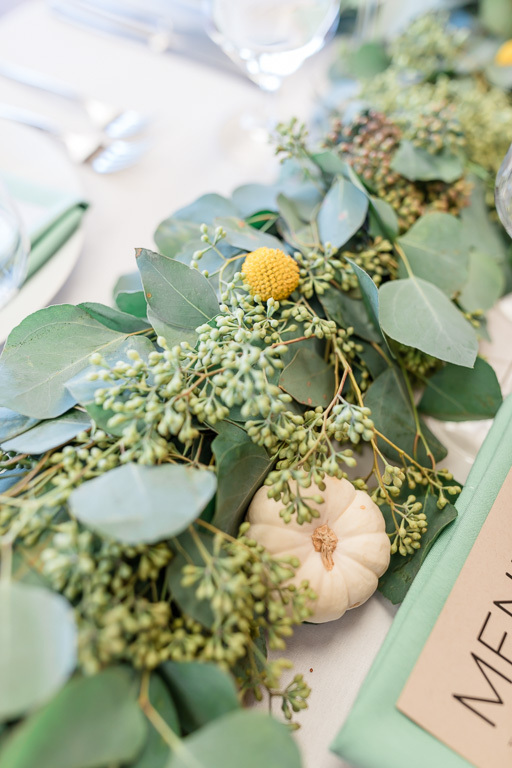 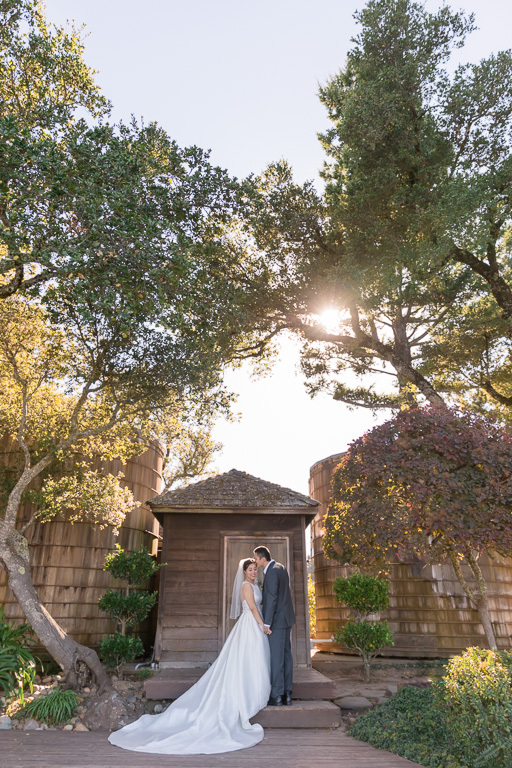 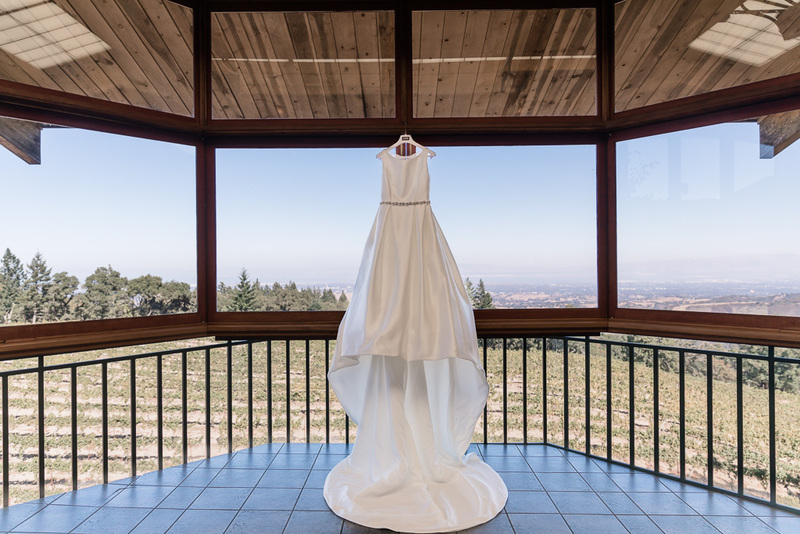 Afterwards, we made our way to a few of the best spots at Thomas Fogarty, taking advantage of both the sweeping views of the peninsula, as well as the golden fall colors in the vineyards, for some lovely portraits of the newlyweds. 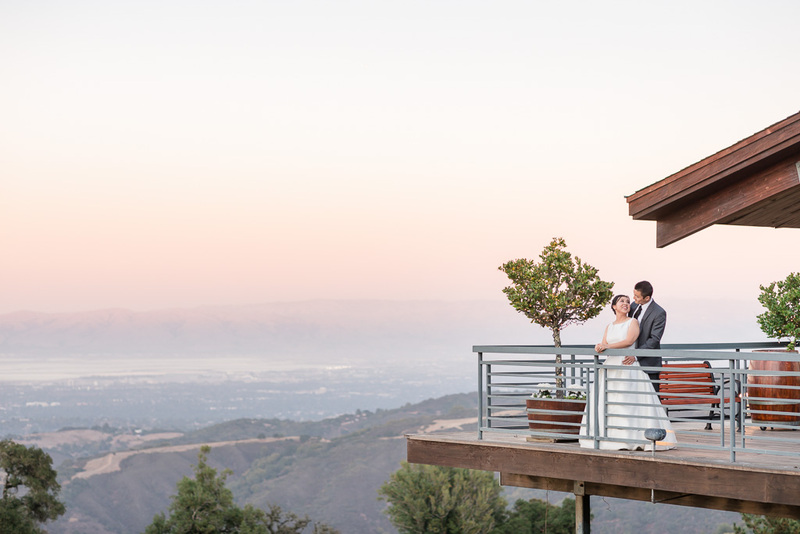 And let me just mention the balcony: what a stunning spot! 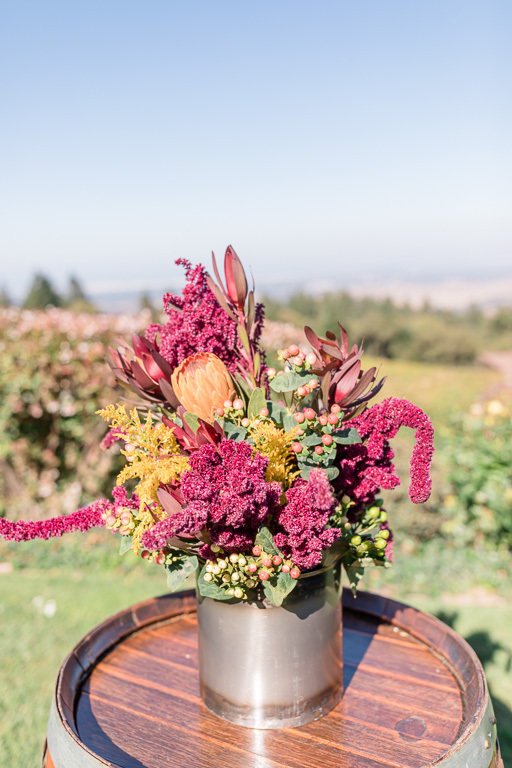 Special thanks to the team of talented vendors!